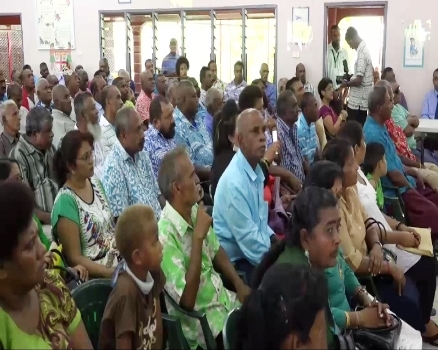 At least 300 people have gathered at the Nadi Civic Center to raise concerns to the Prime Minister Voreqe Bainimarama. Bainimarama is currently touring the West listening to issues and concerns from people and had started this morning from Sigatoka. One of the main issue raised during the public consultation in Nadi was to do with land. Other issues ranged from FNPF services, Fiji Sugar Cooperation and road issues. The Prime Minister will be in Ba tomorrow.